OTTAWA, Ontario – October 2, 2017 – The world is challenged with unsustainable increases in power consumption, combating climate change, implementing cleantech technologies and meeting green, CO2 reduction initiatives. Taiwanese electronics manufacturers work at the forefront of these efforts. To meet these challenges, GaN Systems, the world’s leading provider of gallium nitride (GaN) power transistors, and Taiwan’s Ministry of Economic Affairs (MOEA) have entered into a Letter of Intent to collaborate on expanding the economic and technical benefits of GaN technology to Taiwan’s electronics companies. 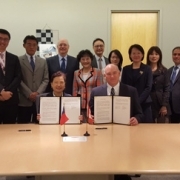 To further advance Taiwan’s leadership role in the electronics industry, recognizing the importance and benefits of GaN, the MOEA will provide assistance to GaN Systems to extend its in-country business and representation. 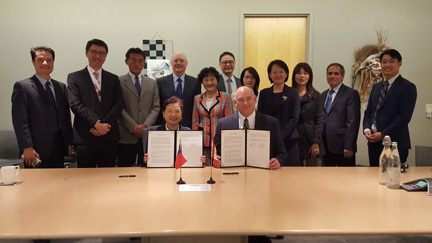 This agreement brings together two powerful forces – the leading manufacturer of GaN transistors and the government body that oversees Taiwan’s electronics industry. Working together, this alliance will collaborate to help solve some of the world’s most daunting power challenges.